Two old men in Germany decided to escape the drudgery of their nursing home and do something decidedly badass: attend a heavy metal concert. The men, who reportedly took public transportation to Wacken Open Air music festival, couldn't resist the urge to head-bang to the likes of Danzig, Judas Priest, Cannibal Corpse, and Death By Sorrow. According to a report by The Washington Post, the geriatrics left their nursing home in the rural district of Dithmarscher and traveled 25 miles to the festival outside Hamburg. They were found by authorities at 3am, reportedly "disoriented and dazed" after a long and debaucherous trek into the world of loud, angry music. Their absence was quickly noticed at the nursing home, but their caretakers managed to bring them back from the metal's gravitational pull. "They obviously liked the metal festival," the authorities told broadcaster Norddeutscher Rundfunk. "The care home quickly organized a return transport after police picked them up." Wacken Open Air bills itself as a "massive German festival for all fans and friends of metal music!" and a "metal mecca" that attracts over 75,000 annual attendees over a period of days. 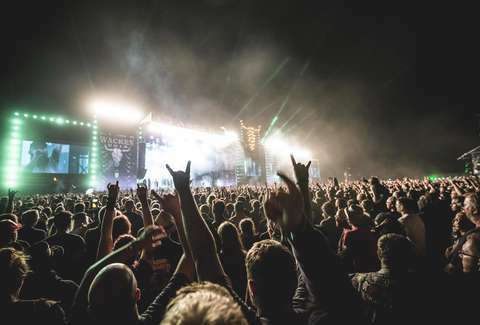 The inclusive atmosphere at Wacken means it does not discriminate by any means: Other elderly folks were spotted at the festival flashing the horns, because Satanic music only gets better with age.